One Way Static Records proudly presents: Clive Barker's 'CANDYMAN' (Original 1992 Motion Picture Soundtrack by Philip Glass). Today we present to you some of Glass' best work, the eerie minimalistic soundtrack to Clive Barker’s ‘CANDYMAN’. 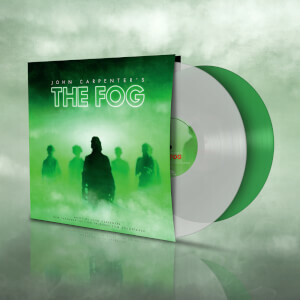 This release is available as a color vinyl variant (Solid White Vinyl) limited to 200 copies, pressed exclusively for ZAVVI and also comes with an insert containing exclusive and extensive liner notes by author Clive Barker, composer Philip Glass, director Bernard Rose and actors Tony Todd, Ted Raimi & Xander Berkeley.